The House has approved a measure that restores net neutrality as the law of the land. But the chances of it becoming law are slim. That’s because while Democrats now control the House, Republicans are still in the majority in the Senate, and Senate Majority Leader Mitch McConnell says the measure is not likely to ever be brought up for a vote. Republicans are pushing back against the Save the Internet Act, a bill announced last week by Democrats. The bill, which was introduced in both the House and Senate, would reinstate net neutrality regulations by codifying the Federal Communications Commission’s (FCC) 2015 Open Internet Order into law. In a hearing on Tuesday before a subcommittee of the House Energy and Commerce Committee House, Republicans called the bill "extreme,” the Hill reported. The Federal Trade Commission (FTC) has turned thumbs down on net neutrality. In a report on broadband availability and connectivity, the FTC found little reason to protect consumers and content providers from attempts by large telecommunications providers to charge more for faster delivery. AT&T; chairman and CEO Randall Stephenson has called on a politically-divided Congress to pass legislation supporting net neutrality, arguing that certain basic principles should be made into law to protect consumers. “I get fatigued every time the President changes, the head of the FCC changes, and regulations swing from left to right,” Stephenson said Monday at The Wall Street Journal D.Live conference in Laguna Beach, California. Federal Communications Commission (FCC) Chairman Ajit Pai is pointing to a federal appeals court ruling as evidence states lack the authority to reimpose net neutrality. The era of unlimited Internet usage for a flat monthly price is one step closer to its end, as cable giant Comcast officially announced today that residential subscribers would top out at 250 gigabytes (GB) per month of data bandwith availability, beginning October 1. The new policy, announced on Comcast's network management site, codifies the company's practice of canceling or limiting customers' access once they go over a specific amount of usage. Comcast had previously refused to disclose its caps for fear of driving customers to competitors who still offered flat-rate prices for Internet access. "This is the same system we have in place today," Comcast said in the announcement. "The only difference is that we will now provide a limit by which a customer may be contacted. As part of our pre-existing policy, we will continue to contact the top users of our high-speed Internet service and ask them to curb their usage." Comcast spokesperson Charlie Douglas emphasized that the policy change would be "not relevant to 99 percent of our customers...only the less than 1 percent who use an extreme amount of bandwith." "We are calling people and letting them know when they are going over the limit, and most people voluntarily moderate their usage on the first call," Douglas said. Those who continued to exceed the cap after being warned would face suspension of their account for one year, he said, "but that hasn't really been a factor...most people change their habits after the first warning. They really just wanted to know the number [of the cap]." Douglas also emphasized that the network policy change would be advertised on several Comcast sites, including the Comcast.net customer portal, and that mailed announcements would be sent to customers along with their next bill. Karl Bode, editor of BroadbandReports.com, was among the first to report Comcast's plans to officially cap users' bandwith. Bode told ConsumerAffairs.com that the 250 GB cap was "more than generous for the majority of users." "For going on half a decade Comcast customers have complained that the company employed a glass ceiling limit while marketing their service as 'unlimited. '," Bode said. "When customers crossed this limit they were told they could see their connection terminated if they didn't scale back usage, but were never told how much consumption was too much. This new approach looks to simply clarify an existing but murky monthly consumption limit, and in that sense is actually good for consumers." Several Internet providers, such as Time Warner and Frontier Cable, have been testing or implementing "metered" broadband plans, where users would pay excess usage charges if they went over a specific caps--many of which are considerably lower than Comcast's 250 GB. 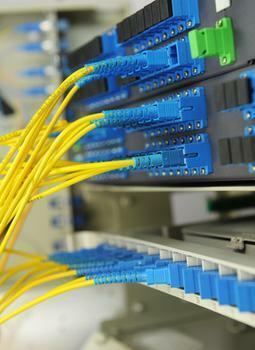 Critics of metered broadband say that the plans offer too little bandwith for too high a price. Customers will shy away from using high-speed Internet's full potential, such as uploading or streaming videos, if they are afraid of going over their limits in doing so, and that companies who are supporting metered plans do so to protect their own video channels and hamstring competitors such as YouTube. Comcast's plan was originally rumored to include charges for exceeding the bandwith cap, but the official announcement did not do so. The company had previously announced that it would employ new network management systems to slow down Internet speeds for the heaviest users in order to prevent congestion. "While I think caps are fair if reasonable (the 5GB or even 40GB limits being tested by Time Warner Cable are absurd), I've generally been strongly opposed to the overage fee system and metered billing, given the potential for abuse by carriers looking to protect TV revenues," Bode said. "I think there's strong pressure from the investment community to begin metered billing." Comcast's policy changes come in the wake of the Federal Communications Commission (FCC)'s ruling penalizing the company for its blocking access to the BitTorrent file-sharing service. Under the terms of the FCC's order, Comcast must provide detailed explanations of how it will manage its networks without denying customers access to services. Media watchdog group Free Press, which had pushed the FCC to rule against Comcast, said that while the cap was a better solution than blocking customers' access, "[i]t remains unclear how the cap announced today helps solve Comcast's supposed congestion problems -- or how the cap will work with other usage limits Comcast has been considering." "If the United States had genuine broadband competition, Internet providers would not be able to profit from artificial scarcity -- they would invest in their networks to keep pace with consumer demand," said Free Press' research director S. Derek Turner. "Unfortunately, Americans will continue to face the consequences of this lack of competition until policymakers get serious about policies that deliver the world-class networks consumers deserve." The company, which a few years ago advertised the service as unlimited has an acceptable use policy which enforces the invisible download limit. The 23-part policy, states that it is a breach of contract to generate levels of traffic sufficient to impede others' ability to send or retrieve information. But nowhere does it detail what levels of traffic will impede others. Michael, of Speedway, Ind., uses Comcast Internet to transfer large work files while his son uses it for school research. In 2004 he received letters threatening to disconnect his Internet if he doesn't restrict his bandwidth. Unfortunately, neither the letter, the AUP, the Comcast websites, nor any printed Comcast materials specify what those bandwidth usage limitations are, Michael wrote to ConsumerAffairs.com. Essentially, what they are doing is drawing an invisible line, then threatening to disconnect anyone who crosses it. "I am more than willing to curb my usage to meet any limitations set by Comcast...if only they would actually make those limitations available to their subscribers, he said. ConsumerAffairs.com has received several complaints from onetime Comcast customers whose service was interrupted by the phantom policy. One of them is Frank Carreiro, a West Jordan, Utah computer technician who has led the charge for hundreds of consumers with his Comcast Broadband dispute blog. Carriero received a phone call from Comcast in December 2006 warning him that if he didn't cut back on his usage, they were going to cut his service. When he contacted customer service to see what he could do, they had no idea what he was talking about and even suggested it was a prank call. One month later, he woke up to no Internet. When he called Comcast, they informed him he would be without service for 12 months. For the next few months, he, his wife and his six children were without Internet until DSL came into their neighborhood. Comcast told Carreiro he was downloading 200-300 gigabytes per month. He said he and his family download a lot of data but could never have used that much. So when he got his new service, he began tracking his use using two independent data logs. We haven't broken 50 Gigs a month yet and we tried, Carreiro wrote in an e-mail. I've even built a server for family photos to be shared and still we're not breaking 50 Gigs. Carreiro said he has spoken to hundreds of people in 15 states in the past five months who have had their Internet privileges revoked by Comcast. 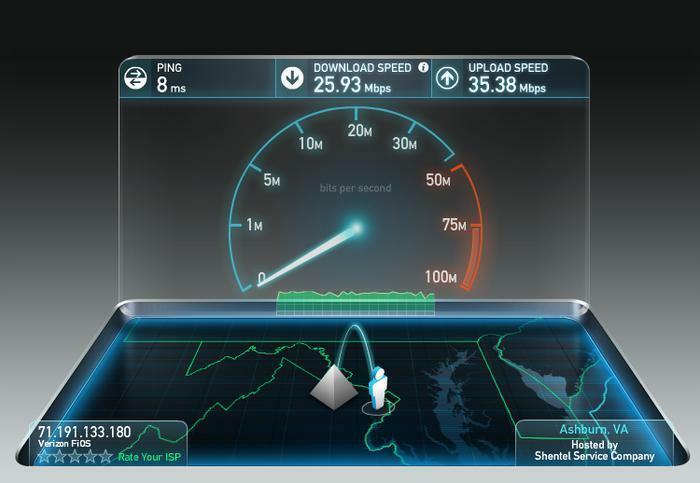 But Comcast spokesperson, Charlie Douglas, said only .001 percent of Comcast's customers ever horde too much bandwidth. Carreiro, whose neighbors have also lost their Internet, doesn't agree. If it's so low, why do I have a couple of people right down the street who have had their Internet taken away? Carreiro asked. Douglas said the company shuts off people's Internet if it affects the performance of their neighbors because often many people will share a connection on one data pipe. If customers want a more dedicated stream, they can order Comcast's business account which costs roughly $1,500 per month, Douglas said. Carrerio agreed that download restrictions for residential accounts are necessary to keep the Internet running smoothly. But he said Comcast should reveal what the restrictions are, as most other Internet providers do. Some Internet providers charge customers based on how much they wish to download every month. Carreiro's current provider has a 100-gigabyte cap. Douglas refused to reveal Comcast's bandwidth ceiling and would not say on the record why they keep it a secret. How fast must an Internet connection be, to qualify as broadband? According to current FCC standards, “broadband” status requires a minimum downloading speed of 4 Mbps (megabytes per second), and 1 Mbps to upload. But this week the FCC started seeking public comment on a proposal to raise that standard, and require broadband download speeds of at least 10 Mbps. By way of comparison, Netflix currently recommends a minimum speed of 5 Mbps to stream a video in HD (compared to 3 Mbps for SD). Under current 4 Mbps FCC standards, almost one-fifth of the current U.S., population lacks access to a reliable broadband connection. If the higher 10 Mbps standard is adopted, that percentage is certain to grow. How do American broadband speeds compare to the rest of the world? Not well; our Internet connections are slower and clunkier than what most advanced nations enjoy. In February 2012, the average global broadband speed was already slightly higher than 10 Mbps. That was two and a half years ago, a long time by computer or Internet technological-evolution standards. 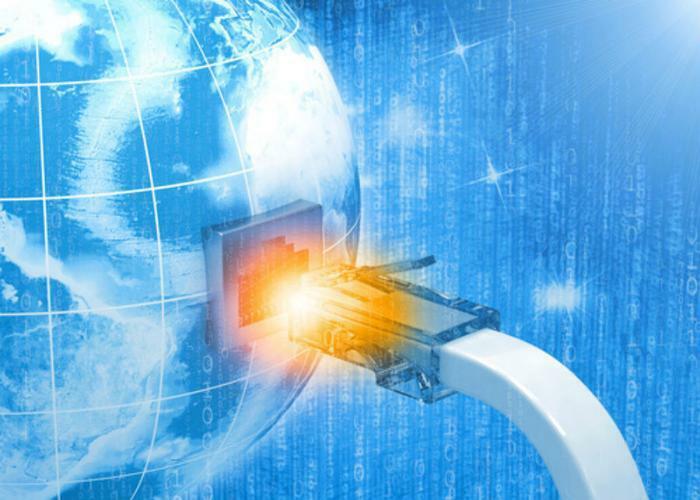 By April 2014, the global average was up to 17.9 Mbps and at least 12 places on Earth had average connection speeds significantly higher than the United States. Hong Kong had the fasest average connection speed in the world: 65.4 Mbps for downloading. American Internet speeds also lag considerably behind those of such countries as South Korea, Japan, Taiwan, Singapore, Israel, Romania, Latvia, Bulgaria, Belgium, the Netherlands and Switzerland. Of course, where Internet speeds are concerned, those countries and cities all share an advantage over the United States: they have much higher population densities packed into much smaller landmasses. There's only 31 square miles in all of Hong Kong, compared to almost 3 million square miles of land in the continental U.S., and wiring 31 square miles for super-fast Internet speeds is obviously easier than wiring 3 million miles (even if you ignore the wilderness areas). But even if we can't be as well-wired as Hong Kong, we still have plenty of room for improvement. The FCC will seek public comment for 45 days. Net Neutrality can be something of a complex subject, but another poll shows consumers not only understand what it is, they want to keep it. In short, Net Neutrality holds that internet service providers (ISP) have to treat all web content the same. That means they can't charge extra to sites that use more bandwidth, and they can't favor the content of one site over another. The need to stay connected is more important than ever these days – just ask any teenager who doesn't have access to their phone or computer for a few hours. This is why it can be completely infuriating when your connection to the Internet isn't working properly. But it could be even more infuriating if you find out that your Internet provider is not giving you the broadband connection you paid for. New York attorney general Eric Schneiderman is setting out to determine if that is the case in his state. He will be probing to see if three major Internet providers are duping consumers by charging them for faster broadband speeds that they are failing to deliver on. “New Yorkers deserve the Internet speeds they pay for. But, it turns out, many of us may be paying for one thing, and getting another,” said Schneiderman. In order to determine if this claim holds water, letters have been sent to three top Internet providers in New York: Verizon Communications Inc., Cablevision Systems Corp., and Time Warner Cable Inc. The letters ask each company to provide copies of the disclosures that they have given to customers, as well as copies of any tests that have been performed on their Internet speeds. Concerns over Internet speeds began after a 2014 study was conducted by Measurement Lab Consortium, or M-Lab. Researchers found that the Internet service for many consumers tended to suffer when broadband providers (i.e. the companies listed above) connected with long-haul Internet traffic carriers. “Internet service provider interconnection has a substantial impact on consumer Internet performance – sometimes a severely negative impact,” concluded the researchers. They added that business relationships tended to be a major influencer for when problems would occur, rather than any technical issues. Taking cues from the study and consumer complaints about their Internet service, the attorney general's office launched their investigation. They are particularly interested in Internet speeds for “the last mile” from Time Warner Cable and Cablevision. “The last mile” refers specifically to the point where the telecommunication chain reaches a consumer's device. Each company has responded to the probe with confidence over the service that they provide. “We're confident that we provide our customers the speeds and services we promise them and look forward to working with the AG to resolve this matter,” said Bobby Amirshahi, spokesman for Time Warner Cable. Charlie Schueler, spokesman for Cablevision, added that his company's Optimum Online service “consistently surpasses advertised broadband speeds, including in FCC (Federal Communications Commission) and internal tests.” Verizon's spokesman echoes these sentiments about their own service and has expressed that the AG's office will have their full cooperation. 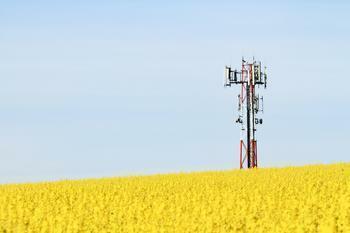 Can states ban municipal networks, or can the FCC override state bans? Earlier this month, the FCC suggested changing its current broadband standards: if the proposed changes go through, the minimum downloading speed required for an Internet connection to call itself “broadband” would rise to 10 Mbps (megabytes per second), more than double the current minimum broadband standard of only 4 Mbps. Even at the current low standard, almost 20 percent of Americans live in places without access to broadband. 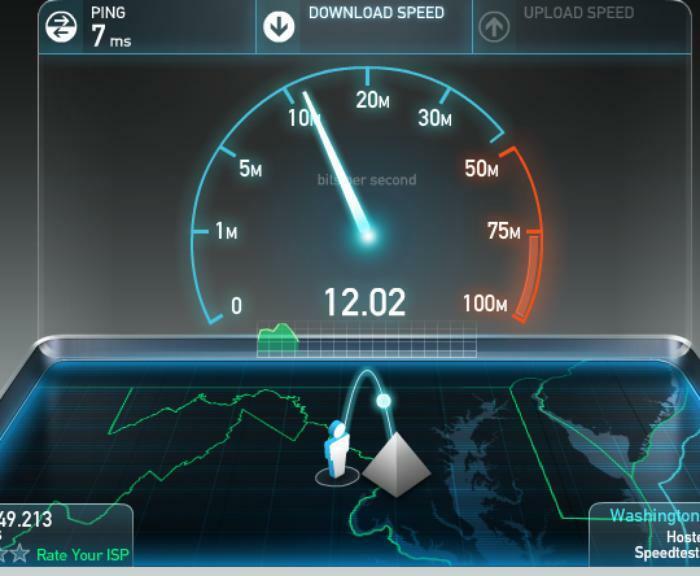 But minimum speed is not the only broadband issue the FCC's currently considering. The question of whether or not to allow municipal broadband networks in states that have banned them is also raising heated partisan debates among national lawmakers. Chairman Tom Wheeler has long said that the FCC has, or should have, the authority to override any state law banning municipalities from establishing public broadband networks (20 states already have such laws, thanks to legislation supported by cable companies and the ISP lobby in general). So on August 19, two Democratic lawmakers – Sen. Ed Markey of Massachusetts and Rep. Mike Doyle of Pennsylvania – published an open letter/press release urging Wheeler to do just that. A number of municipalities across the country have undertaken efforts to address their residents’ unmet broadband needs through a number of means, including creation of their own broadband networks. In recent years, however, a number of state governments have enacted laws prohibiting municipalities from creating their own broadband infrastructure. As a result, many communities across the country still don’t have adequate access to fast, reliable, and affordable broadband networks. Republicans, by contrast, think states should have the right to ban municipal broadband networks, and the FCC should not have authority to override those states. So those who are potential supporters of the current FCC interpreting Section 706 to give the Commission the authority to preempt state laws about municipal broadband should think long and hard about what a future FCC might do with that power. “Section 706” refers to the Telecommunications Act of 1996 – indeed, you could say this entire argument stems from disagreement over exactly what it means. (a) IN GENERAL-The Commission and each State commission with regulatory jurisdiction over telecommunications services shall encourage the deployment on a reasonable and timely basis of advanced telecommunications capability to all Americans (including, in particular, elementary and secondary schools and classrooms) by utilizing, in a manner consistent with the public interest, convenience, and necessity, price cap regulation, regulatory forbearance, measures that promote competition in the local telecommunications market, or other regulating methods that remove barriers to infrastructure investment. So here's the debate: the FCC is supposed to encourage the deployment of advanced telecommunications capability to all Americans, and in today's Internet-dependent world, that definitely includes improving America's dismal broadband infrastructure. The current global average broadband speed is 17.9 Mbps, whereas America's current minimum broadband speed is only 4 Mbps, and almost 20 percent of Americans don't even have access to that. What is the best way to make fast and reliable broadband service available to all Americans -- public, tax-funded municipal networks, or privately owned networks such as those run by Cox, Comcast, Time-Warner and other ISPs? If cities do develop public broadband networks, will that discourage private investment in those cities? In general, it appears that the current batch of Democratic lawmakers and FCC members believe public municipal broadband is a good way to bring fast connections to areas where they doesn't exist, whereas the Republican lawmakers and FCC members support states' rights to ban public networks on the grounds that private ISPs can better provide broadband service without facing unfair tax-funded competition. The future of net neutrality is as murky as the term’s actual meaning for most internet users, but with potential changes on the horizon, it’s a critical time for consumers (and voters) to gain a clear understanding of both. “Net neutrality” is a simple term to talk about a complicated concept. In the broadest sense, net neutrality is an idea that all internet users have access to the same online content at the same speed. A federal class action suit filed in San Francisco last week accuses Comcast of forcing its residential customersto bear the costs of building and maintaining Comcast's for-profit network of public wi-fi hotspots. It's no secret that Comcast's plan for public wi-fi entails piggybacking on residential routers (as opposed to costlier-for-them options, such as building a network of transmission towers). In other words: your home router becomes a public wi-fi spot, although in this context, “public” does not mean “free,” merely that anybody with the right subscription credentials can access it. The complaint also says that tests of the actual routers and their total energy consumption suggests that “Comcast will be pushing tens of millions of dollars per month of the electricity bills needed to run their nationwide public wi-fi network onto consumers,” according to court documents. 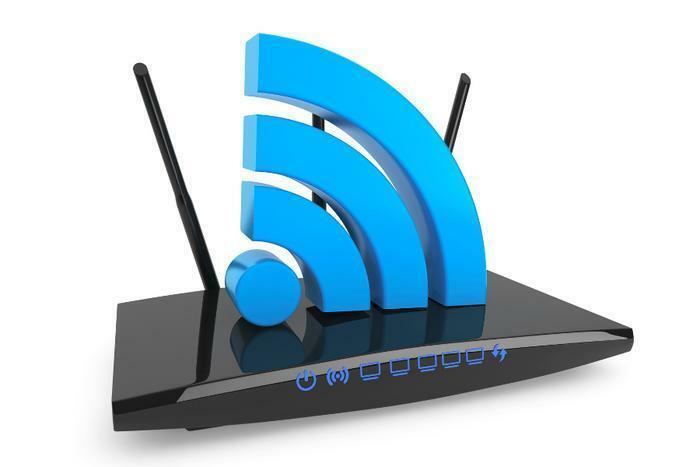 The lawsuit also alleges that home wi-fi customers whose routers also power public hotspots suffer slower home connections and increased security and privacy risks, due to the countless strangers who are using their home routers. Comcast has not commented on the suit, which seeks a declaratory judgment, an injunction, restitution and damages for violations of the Computer Fraud and Abuse Act, the Comprehensive Computer Data Access and Fraud Act and California's Unfair Competition Law. Net neutrality is not one of those issues that makes consumers' blood boil, although maybe it should. Basically, it's the principle that Internet service providers should treat all traffic equally -- whether it's a movie from Netflix, Google search results or streaming music from Spotify. Who wouldn't agree with that, right? Well, the big carriers like AT&T, Comcast and Verizon, among others. They would like to be able to give favored treatment to companies that pay for the bandwidth they use. Unfortunately, among those who don't agree with the principle is a federal appeals court in Washington, which today ruled that the Federal Communications Commission (FCC) does not have the authority to bar Internet carriers from favoring one type of traffic over another. In a prepared statement, Verizon said nothing would in the ruling will change the way consumers access the Internet. "The court's decision will allow more room for innovation, and consumers will have more choices to determine for themselves how they access and experience the Internet," the company said. Also weighing in was Michael Beckerman, President and CEO of The Internet Association, who said the ruling could endanger the continued success of the Internet in creating jobs and new services for consumers. "The Internet creates new jobs, new technologies, and new ways of communicating around the globe," Beckerman said. "Its innovation without permission ecosystem flows from a decentralized, open architecture that has few barriers to entry. Yet, the continued success of this amazing platform should not be taken for granted. "The Internet Association supports enforceable rules that ensure an open Internet, free from government control or discriminatory, anticompetitive actions by gatekeepers. We look forward to studying the D.C. Circuit’s opinion and working with the FCC and policymakers on the Hill to protect Internet freedom, foster innovation and economic growth, and empower users," he said. The Federal Communications Commission (FCC) has announced the second release of federal funds to subsidize broadband infrastructure to serve rural areas of the U.S. Acting FCC Chairwoman Mignon Clyburn announced another $485 million is going to the Connect America Fund. The tax dollars will go to private corporations in the broadband business. In exchange for receiving the money, the companies will provide fixed-line high speed broadband services in areas where it might not make economic sense otherwise. The government is kicking in some money as a way to convince the companies to make the investment. In rural areas, consumers are few and far between, making it expensive to provide service to them. 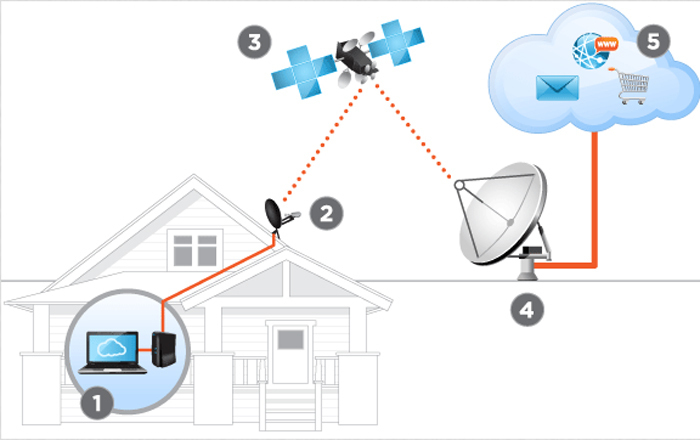 Many rural consumers get their Internet service through satellite providers or local wireless providers. According to FCC estimates, some 15 million Americans, most of them living in rural areas, lack broadband, creating economic dislocation. Without high-speed Internet, consumers and businesses may find they lack access to jobs, education, and other opportunities. To show you what broadband services are available at your address, the FCC created this map tool. With so much of commerce now online, businesses without broadband are cut off some significant parts of the economy. So are consumers. The Connect America Fund has the aim of making sure broadband access is available to anyone who wants it by the end of the decade. The money isn't coming from a new tax but from a very old one. During the Great Depression of the 1930s, Congress added a small tax to consumers' telephone bills, called the Universal Service Fund tax, to be used to expand telephone service to rural areas. Since that need has long been met, the FCC is diverting that money to encourage the build-out of broadband infrastructure. CenturyLink is one of the companies getting the money in this latest phase of the program. It stands to receive $90 million. "CenturyLink and the commission share the same goal of delivering high-speed Internet services to Americans who currently don't have access to them," said Steve Davis, CenturyLink executive vice president for public policy and government relations. "We praise Chairwoman Clyburn for her dedication to communications issues that impact rural Americans and for being a strong proponent that all of the CAF I money left over from the first round be available to rural consumers. Clyburn has been a staunch advocate for consumers and a tireless champion of the economic and educational opportunities that come with broadband." CenturyLink received $35 million from the Connect America Fund in 2012 to deploy broadband service to 45,000 homes in unserved rural areas. The company said it is also investing hundreds of millions of dollars of its own money to supplement the money from the government. The FCC says the money for the Connect America Fund is mostly coming from the elimination of waste in the old program, funded by the Universal Service Funds. Through better management, the agency says, it is eliminating wasteful subsidies and targeting them where they are needed most. The Connect America Fund is a rare Washington initiative that draws support from both Democrats and Republicans. One hundred members of Congress from both sides of the aisle contacted the FCC earlier this year, urging it to speed up distribution of broadband funds. Some other telecommunications companies have yet to say if they will accept funds. By doing so they would commit themselves to spending a matching amount to carry out the construction. Not all are willing to do that, at least not yet. As policymakers continue to debate how best to bring more broadband service to unserved rural areas of America, satellite providers say they deserve another look. ViaSat Communications' Exede Internet service, which took over satellite provider WildBlue, launched a new satellite in January. HughesNet, its competitor, followed suit last month. Both companies now offer a service they say is far superior to what was offered in the past. When WildBlue began marketing satellite Internet service in October 2004, the Internet was in an explosive period of growth, but no one knew how quickly that would play out. WildBlue and its competitor Directway, later acquired by Hughes, were designed for an Internet that was changing by the day. And the idea that consumers would soon be watching video online hadn't even entered the equation. So the systems faced a few problems. Subscribers used more and more bandwidth yet the capacity of the satellites remained fixed. When a user of a satellite Internet system clicked on a page, objects on the page -- things like graphics and photos -- loaded one at a time. “When we designed the ground system a Web page might have five objects. By a couple of years ago a page might have 60 objects,” Scalpone said. So ViaSat, WildBlue's major supplier, acquired the service and went to work designing a new satellite system that would address these issues. ViaSat, which added Exede as an Internet provider, developed software that accelerates and optimizes the complexity of web pages and designed a much bigger, faster satellite. The bigger satellite addresses the congestion issue while the software makes highly complex Webpages load faster. But what about the issue of “latency,” the delay caused by the distance the Webpage has to travel from space? You might be able to write new software and build a bigger, faster satellite but you really can't do anything about the speed of light. The latency, or delay on the new system, she says, is a half-second. Scalpone says the service has the feel of a wired service and you don't notice the difference going from your office to your home. She says you don't notice it watching video and you can even use VoIP, something not practical with the old system. Both Exede and Hughes offer packages starting at $50 a month for 12 mbs download and 3 mps upload. Plans are fixed -- just like cellphone data plans -- because satellite capacity is fixed. Exede has just increased its base data plan from 7.5 GB per month to 10 GB per month without increasing the price. “We are not going to be the optimal service for the heaviest user, but for a user that is typical to slightly more, we want to target that group,” Scalpone said. And while they certainly hope rural consumers give them another chance, Scalpone says the company is not limiting itself. With its speed and price, she thinks the company can be competitive in urban and suburban markets as well. Federal Communications Commission (FCC) Chairman Ajit Pai said it’s a “fact” that there was Russian interference in the public comments filed ahead of the net neutrality decision last year. Pai said a “half-million comments” were submitted from Russian email addresses.